At first, Grant Lawrence was skeptical about the strange, bearded singer-songwriter who seemed intent on ruining his Christmas party. As a veteran Vancouver punk rocker and host on CBC Radio 3, a publicly run station exclusively dedicated to airing Canadian indie music, Lawrence’s annual holiday gatherings drew music biz types from around the city to his apartment where they would take in acoustic sets by local bands then inevitably drink too much. 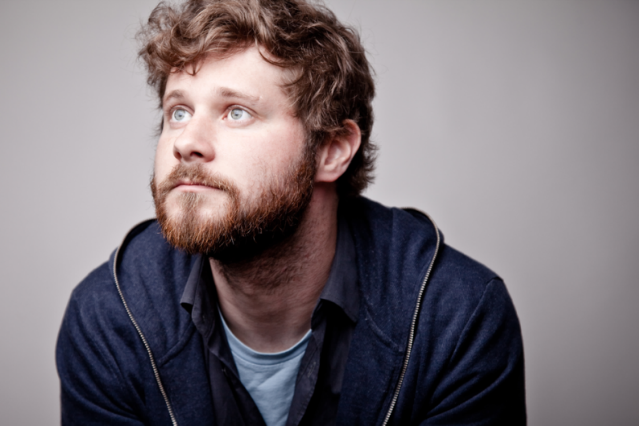 But around 11 p.m. — long after the guitars were stowed and the booze was flowing — when his pals in indie-pop outfit Said the Whale requested he turn down the stereo to give an unknown eager beardo, Dan Mangan, a chance to sing, Lawrence was reluctant. Recently, though, that focus shifted from the earthy, earnest folk tunes that first won him a loyal legion of fans (whom Lawrence dubs the “Dan Mangan army”) to a more experimental bend that culminated in last fall’s Oh Fortune. Sure, Mangan still strums an acoustic guitar and unleashes that distinct growl, but now it’s marked by noisy atmospheric rumblings (“If I Am Dead”), raucous drums (“Rows of Houses”), and free-flowing sax (“Jeopardy”).